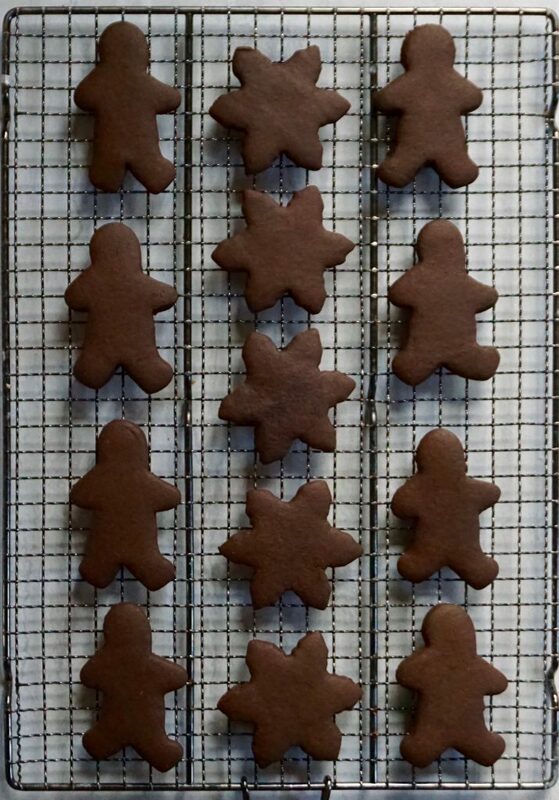 Are you all in the holiday baking mode yet? My oven has been going non stop! 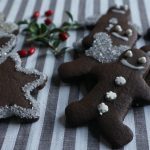 I always include Gingerbread Cookies in my December line up. 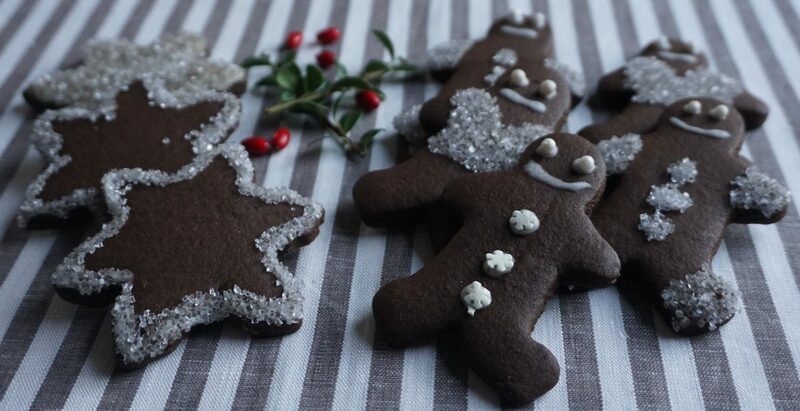 As you will see as you read along, I use waxed paper to roll out these Gingerbread Cookies. I have just never been able to roll out cookies on a floured board. I end up with flour all over the place and cookies that still stick to the board. Not good! For me, rolling the dough between two sheets of waxed paper has solved all of my issues. 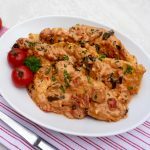 The dough does not stick at all and the shapes are easy to remove with a spatula from the bottom piece. If you get a little zealous with your roller you might end up tearing your top sheet of paper and have to replace it. I do this pretty often! Place a ball of the cookie dough between two sheets of wax paper and roll in all directions. Remove the top sheet of waxed paper and cut your shapes. They will easily lift off the bottom sheet without sticking. 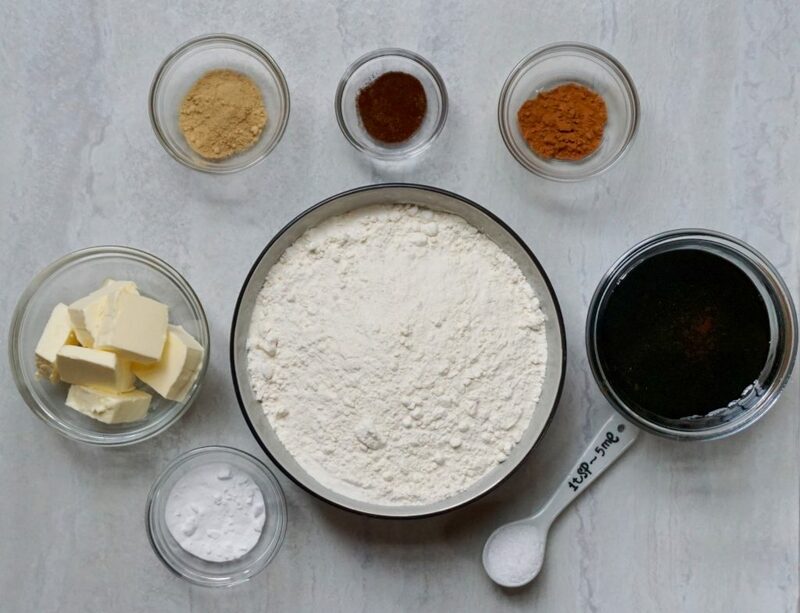 Sift together the flour, salt, ginger, cinnamon, cloves and baking soda. Beat the butter or shortening with a mixer until fluffy. Add the molasses and mix until thoroughly combined. Add the sifted ingredients to the molasses mixture and combine well. 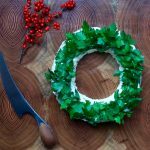 Roll out the dough, a little at a time either on a floured surface or between two sheets of waxed paper. 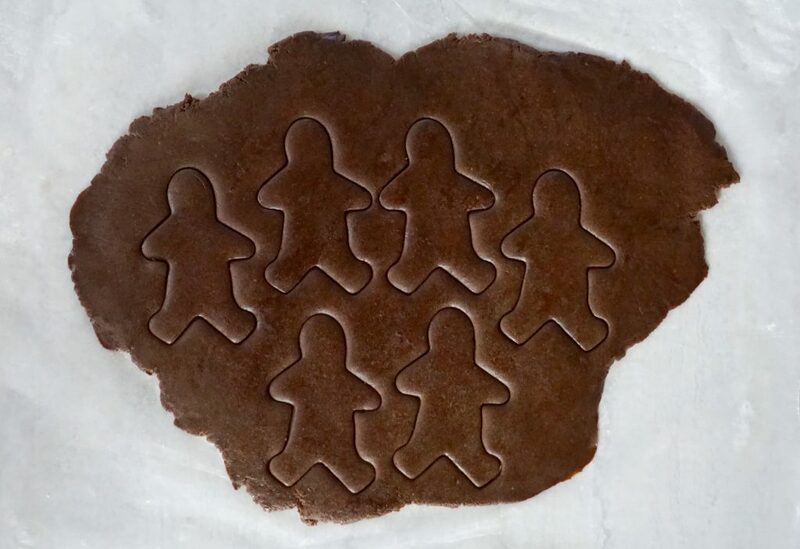 Cut with cookie cutters into desired shapes. Left the shapes with a spatula to a non- greased cookie sheet. Decorate with cookie glaze and assorted candies and sugars. I used white sparkling sugar. 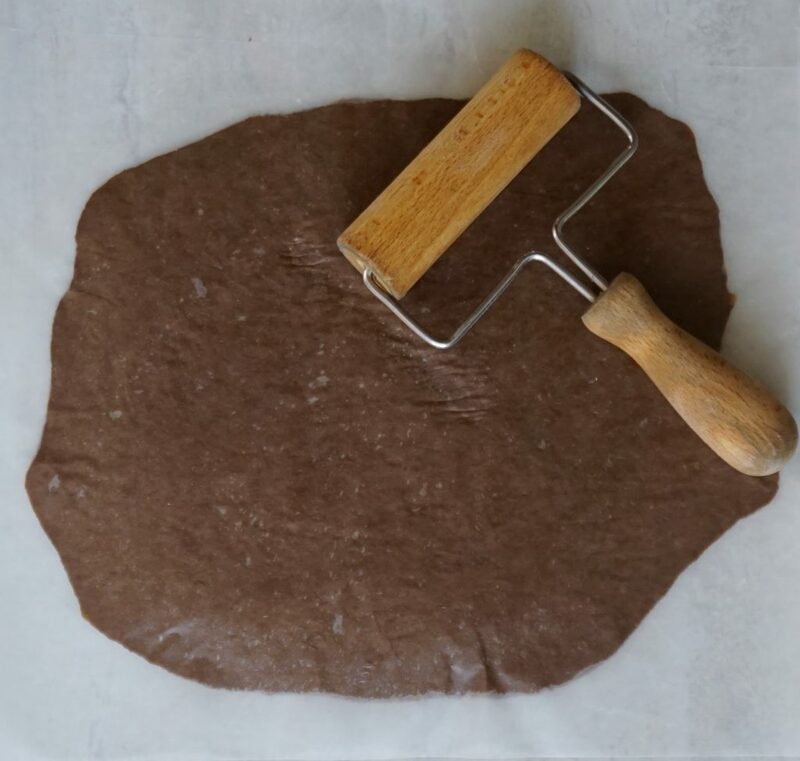 A metal spatula works best in removing unbaked, rolled cookies from your waxed paper or floured board.